Vintage Precision offers an enhanced reproduction of the original K.R. 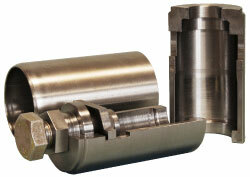 Wilson ABV-156 rear hub puller. 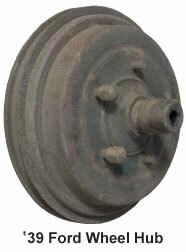 Do you need to remove a tight hub from a 1928-48 Ford car or truck? Are you worried about ruining the axles? 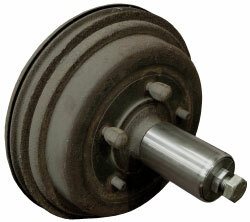 This heavy-duty tool saves you from the stress of pulling the rear hubs free from their axles. 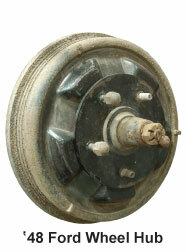 In servicing many older automotive vehicles, it can be very difficult to remove the wheel hub from the axle housing. It is especially difficult to remove hubs which have suffered burnt bearings, as these bearings frequently weld themselves to the axle housing. The problem is especially acute on vehicles whose hubs have not been removed for a long period of time and whose bearings tend to cling to the axle housing. Trying to remove the hub can be very difficult for most car enthusiasts, since a lot of force is usually needed to free up the hub from the axle. 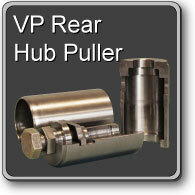 To solve this problem, Vintage Precision has developed the VP Rear Hub Puller, an enhanced version of the K.R. Wilson ABV-156 rear hub puller, which will take your worries of ruining your axle away for good. 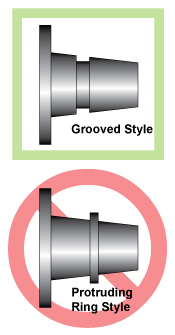 Vintage Precision's Rear Hub Puller will only work on grooved design hubs and not on protruding ring style hubs. 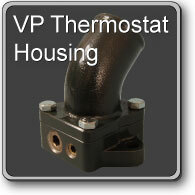 Our VP Rear Hub Puller is manufactured in our CNC machine shop in Benicia, CA. It consists of two steel half-shells which are machined with a 70,000 PSI yield strength, a thrust nut machined from aircraft steel with a 100,000 PSI yield strength, and a thrust bolt, which is a grade 8 fastener and has a full inch of thread engagement. The outside cover is made from stainless steel tubing, which reduces the weight and size of the assembly noticeably, without sacrificing strength. The finished assembly is 2.5" in diameter and approximately 4" long and comes in a storage container, 3" OD x 6.8" long, 4.5 Lbs total weight.